The Tir National, site of Edith Cavell and Philippe Baucq's execution. Execution Ground at te Tir National. Despite all of the precautions, the resistance members knew it was only a matter of time before their operation would be discovered. The Germans had been suspicious of the Clinique for a long time, but lacked the hard evidence required to make arrests. Otto Mayer, a member of the German secret police, made his way to Brussels in June 1915, and was tasked with investigating Edith Cavell. That month he paid a visit to the Clinique, which nearly led to the uncovering of four allied soldiers and other damning evidence. Though nothing was discovered, arrests and interrogations followed for her and many of her nurses before they were released. Marie de Croy recognized that the organization was being swiftly closed in upon and she appealed to Cavell to stop her operations. Cavell's resolve remained, however, and she committed herself to the continued aid of the soldiers. George Gaston Quien, a Frenchman who had defected to the German side in exchange for his release, disguised himself as an allied soldier in need of safe passage out of the country and made his way into the Clinique. He was communicated out in June, and throughout July the Clinique had an increasing number of German inspections and refugees that lacked well known passwords. On August 5th, 1915 German authorities entered the Clinique and arrested Cavell. 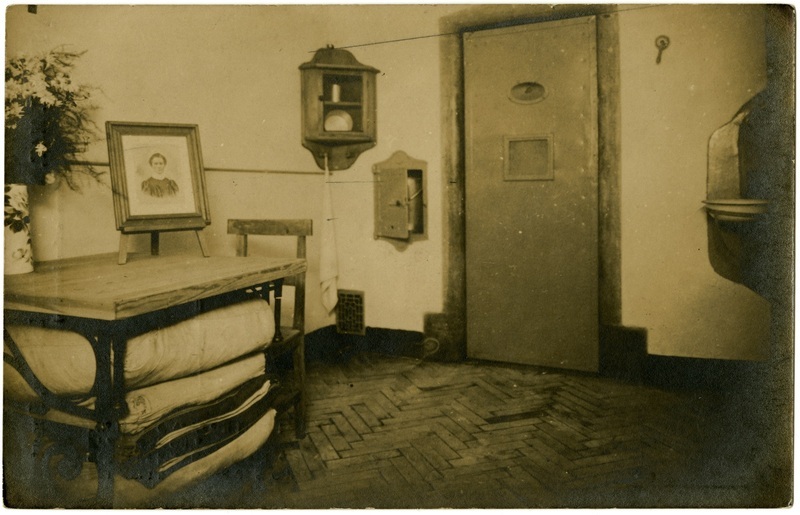 Edith Cavell's Cell, St. Gilles Prison. 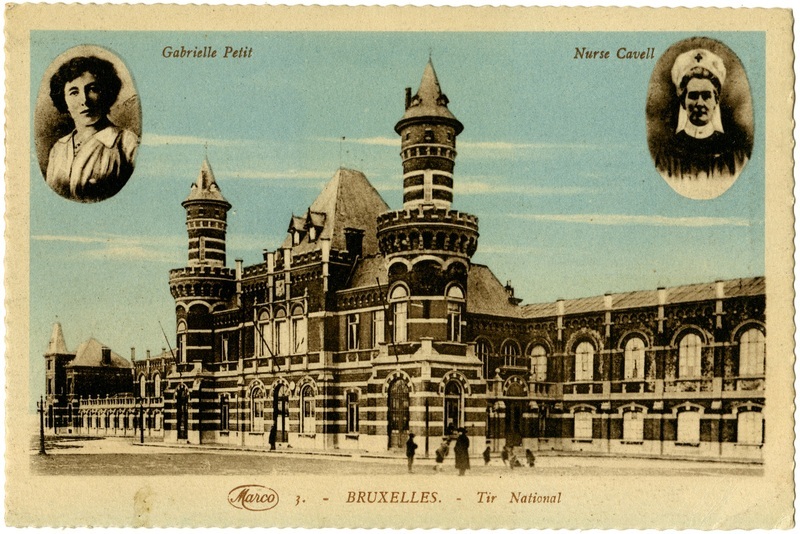 While awaiting trial at St. Gilles prison, Cavell was presented with and signed three depositions that confirmed her activity in the organization as well as her associates. This fact was used by German propagandists as slander. It is almost certain that she did not understand what was actually written on the papers, as she did not read German and it was only verbally translated into French. Georges Hostelet, also on trial, later remarked that the statements they had signed were distorted by "insinuations, by threats, (and) by false translations…"(Ryder, 199). Also, this willingness to divulge information goes against the nature she had previously displayed. Four years after her death, at the treason case of Gaston Quien, Otto Mayer testified that while Cavell had made an initial slip during her interrogation, she "answered evasively for the rest of the interview" to protect her associates (Ryder, 179). 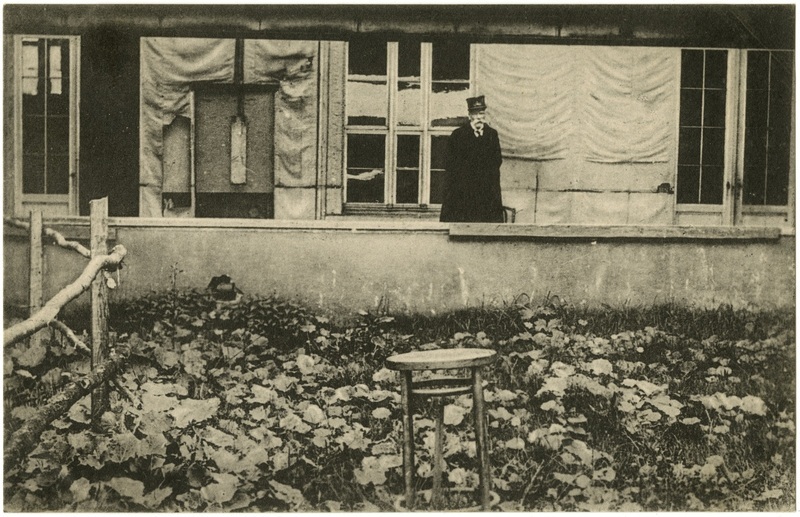 October 7, 1915, marked the first day of the two-day trial. In Brussel’s grand Senate Chamber, packed with German officers, Cavell and the other accused were filed in. She was charged with aiding the enemy by returning soldiers to their home countries to rejoin the war. In truth, Cavell had only guided the men out of Brussels, an important technicality that should have spared her from the death sentence. In her own testimony she said, “My preoccupation has not been to aid the enemy but to help the men who applied to me to reach the frontier; once across the frontier, they were free” (Ryder, 199). When given the opportunity to plead, it is recorded that she told the judges she had nothing more to add, and then sat down. Cavell decided not to launch an appeal against her sentence, believing that German hatred of the English would make it a useless effort. Early on the morning of October 12, 1915, Edith Cavell was executed by firing squad.